IBM has acquired acquisition of Armanta, a US-based a provider of aggregation and analytics software to financial services firms. Armanta and IBM have been working together for the past two years. Armanta’s tech enables financial institutions to aggregate data across multiple systems in near real-time speed, enhancing their decision-making and addressing compliance. It also provides the ability to instantly visualise complex analyses and different “what-if” scenarios in a secure, sandbox environment, allowing users to act decisively. 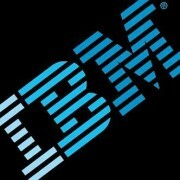 “For financial institutions around the world, the addition of Armanta will enable IBM to more effectively manage regulatory mandates by using a common aggregation and reporting solution across multiple risk systems, regardless of whether they are developed in-house or are supplied by a vendor,” IBM explains. “Clients can also use Armanta to build their enterprise reporting solutions on top of existing analytics,” it adds. Post-acquisition, the Armanta business will be integrated into IBM’s Watson Financial Services portfolio.